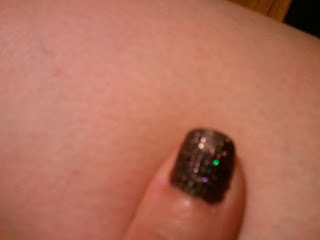 Cooking on Skates: Pretty Sparkles! If you didn't know, I'm a nail biter. 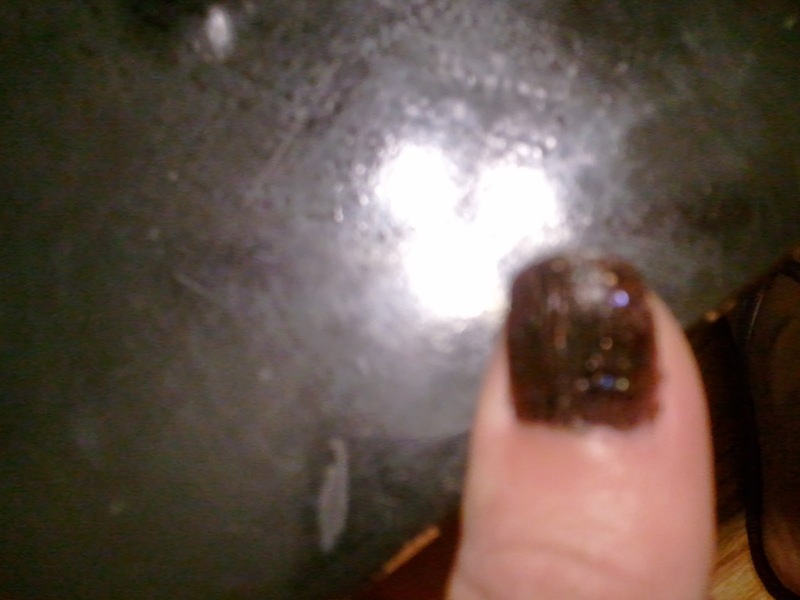 But I really love having pretty nails and hate looking like a nail-biting little kid, so as long as I paint my nails a fun, pretty, dark color, the biting is somewhat minimized. 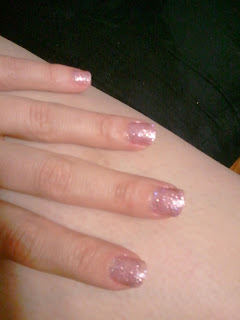 On my birthday, I stopped by Beauty Brands for topcoat. 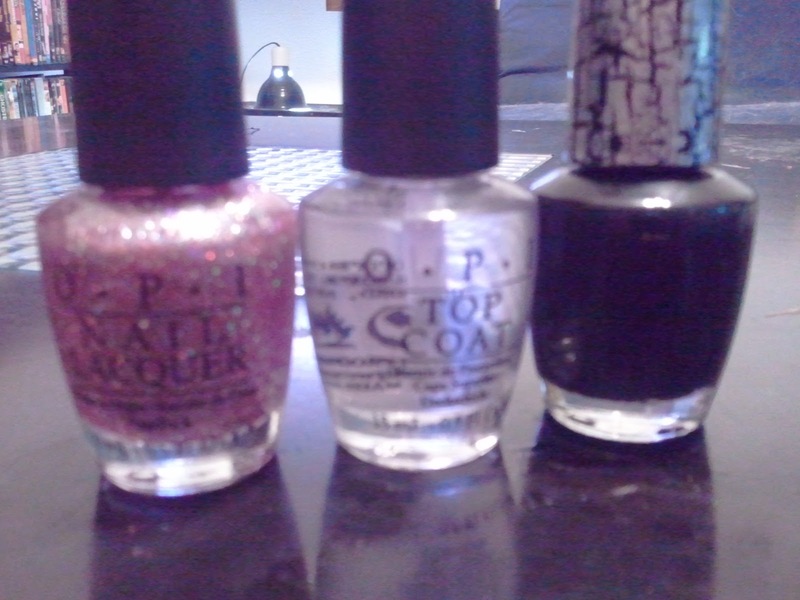 I walked out with OPI Shatter and OPI Teenager Dream from the new Katy Perry line. Ohmygosh are these fun. The pink glitter only takes two coats to fully cover the nail. And a thin coat of the Shatter polish cracks on its own. 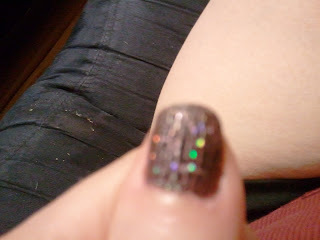 It's very matte, so you just need a single layer of topcoat after that. While I seem to have mixed feelings on the black-over-pink, I've gotten more compliments than I would have ever expected. That. Is. Awesome. It's like leopard print for fingernails! I must find neon green now! How did I not think of that?! You're a genius.